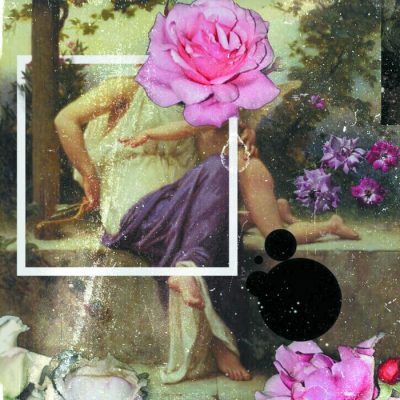 resurrection of a dead flower, the latest release by Salt Lake City’s zonekidd, is a beautiful and reflective piece of work. The album is a mostly instrumental, sample-heavy journey through the life of the artist. It deals with depression, suicidal thoughts, addiction and mental illness, cutting to the core of problems that many young people are facing. The album as a whole is slow-moving and dreamlike. zonekidd combines guitar samples, piano riffs and lowkey beats to weave an introspective dreamscape, giving the listener time to think. “you’re my antidepressant” is a perfect example. It moves along at a slow pace, featuring heavily filtered instruments quietly making their sounds with a simple beat playing in the background. In “better off dead,” a voice asks, “How many people have said, ‘I’m better off dead’ / How many times have you said that to yourself?” Zonekidd uses voices in many songs throughout the album. Like “better off dead,” the soundbites sampled are typically existential, dealing with the darker sides of life. In “do not ever leave me mijo,” a voice is crying at the beginning of the track, urging someone to help others and to follow their path on this earth. The dark voices zonekidd uses in the album pair well with the instrumentals on resurrection of a dead flower, for the most part. Some songs, such as “butterfly kisses” and “impath,” have more of a summertime, lofi vibe to them, with brighter samples. Though zonekidd is well versed in making quality tracks with a lighter theme, they don’t seem to fit the theme of the rest of resurrection of a dead flower. Still, zonekidd has a great sense of the direction in which music is going, and is obviously able to express feelings and emotions through art.